Golf Cart Rollover Accidents - More Common than you Think! Golf Cart Rollover Accidents – More Common than you Think! Golf cart rollover accidents are actually fairly frequent occurrences and are known to cause severe injury. Golf cart rollover accidents can result in fatality especially in cases of passenger ejection. Fatalities are the highest among children. A study conducted by the National Electronic Injury Surveillance System from 1990 to 2006 indicates that during that time period there were 147,696 separate incidents of injury while on a golf cart. This study did not include fatalities from golf cart rollovers. The amount of golf cart related injuries is not decreasing. The same study indicates that there was an increase of 132.3% of reported golf cart injuries during the 17 year period. 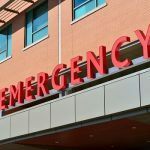 The US Consumer Product Safety Commission states that emergency room records indicate approximately 13,000 yearly ER visits due to golf cart related accidents. Golf cart rollovers usually occur because of the unstable nature of the golf cart. Many rollover events occur while the driver is moving downhill and subsequently loses control of the cart. At present, the industry typically manufactures golf carts with brakes on the rear axle wheels only. This design, besides resulting is less braking ability, also leads to the vehicle fishtailing. 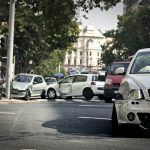 The limited stopping ability is compounded by scared golf cart drivers who then start to pushing harder on the brake pedal which can cause the brakes to ‘lock-up’ or contribute the driver losing control. The design of the golf carts generally does not take into account any quick or evasive maneuvers to stabilize the vehicle. Golf path designs that include sharp turns or steep grades may also contribute to this chain of events. Uneven terrain on golf courses is another contributing factor. Passengers left in a parked gold cart while on a hill also are subjects of severe golf cart rollover injuries. When a golf cart is left parked on a hill and some of the occupants exit the cart, the movement of the unloading passengers may contribute to a golf cart rollover. The passenger left in the golf cart is often relaxing, reading or on the cell phone. Their relaxed and distracted state leads to less time to react when the cart rolls leading to injury. 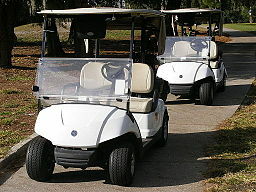 Additionally, if the passenger had their feet lifted and resting on the front of the cart or the seat in front of them and then their hands are on a book or cell phone, they may not physically be in a position where they can do much to shield themselves or grab on to something when the golf cart rolls leading to them being ejected. Golf cart rollovers tend to lead to severe injury due to the general open design of the vehicle. 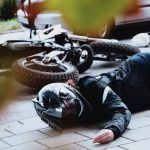 Additionally, lack of seatbelts, driver inattentiveness or the use of alcohol by the driver can also be a component to the rollover accident that leads to injury. If you or a loved one is one of the many Californians injured in golf cart accidents, contact my office, the Edward A Smith Law Offices, for assistance or advice. We can schedule a free consultation to help answer your questions. I have been helping injured people since 1981 and I have a proven record of success. 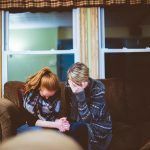 Please see what my clients have been saying about their experiences with my office on Yelp, Google or AVVO. I maintain active social media sites on Facebook and YouTube to provide free legal advice and to help potential client’s get to know me and my staff better. I can be reached via telephone at (916) 921-6400 or (800) 404-5400. I look forward to answering your questions.